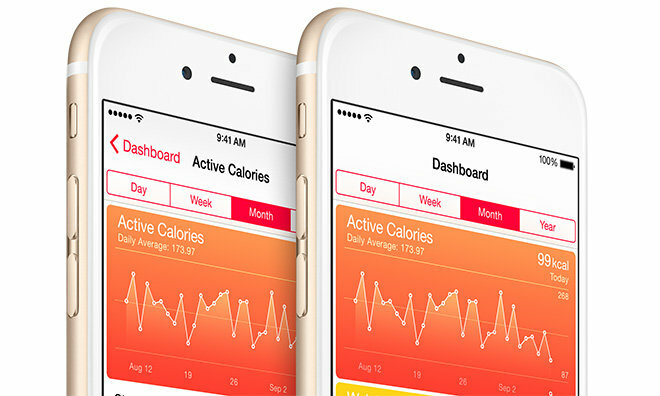 Before Apple's HealthKit debuted in iOS 8, users had to manage their fitness data across multiple apps, Web tools and third-party cloud services. Some platforms, like Fitbit, tried to incorporate calorie counting and activity tracking into one universal solution, but the result was often fragmented and worked mainly with that company's hardware. With HealthKit and the corresponding Health app, users can track nutrition, activity, calories burned and even take biometric readings through different apps and see it all in one place. Here are the best new or updated apps and accessories that integrate with HealthKit, including fitness bands, exercise equipment, scales and more. Recently updated for HealthKit, the free Health Mate app from WiThings can track your steps and log stats like weight using the iPhone's M7 and M8 motion coprocessors. Where WiThings really shines is the integrated hardware accessories (sold separately) that can track unique data without user intervention. Using the $99 Withings Smart Scale or $150 Body Analyzer, you can send your weight, BMI and other stats to the Health Mate app automatically. 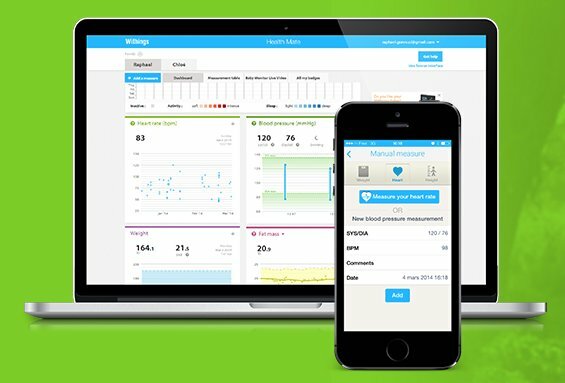 Other WiThings products can measure blood pressure or sleep and integrate with third party services like IFTTT.com. The Health Mate app is a free 65.6MB download from the iOS App Store. 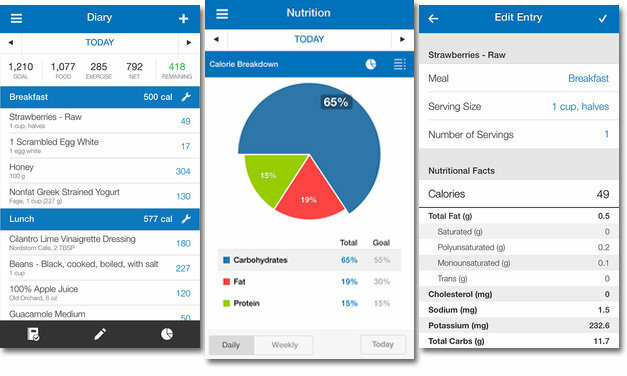 If users are wanting to track nutrition and calories, the free MyFitness Pal app is a great choice. MyFitness Pal incorporates a large food database that can automatically fill nutrition information just by scanning a package's barcode. Keep favorite foods, add entire meals and have all your data synced to the web and Health app. Activity added to HealthKit from others app can also be imported to the MyFitness Pal app and will automatically adjust your daily calorie goal. Users can also create an unlimited number of custom foods from personal recipes and remember them for later use, as well as set weight goals, measurement goals and even connect with friends for motivation. The free MyFitness Pal app weighs in at 43MB. One of the most popular fitness tracking band lines on the market, Jawbone's UP series boasts a number of tools to keep users healthy. The UP app was recently updated to integrate with HealthKit to track activity and add a sleep tracker capable of sending your data to the Health app. The software also provides personal coaching tips to achieve your personal fitness goals. Food and drink logging will also carryover through HealthKit and the UP 24 fitness band offers unique features such as a vibrating alarm, customizable vibrating reminders, idle alerts and more. Jawbone recently added a few devices to its product line, including a new flagship model called the UP3 that incorporates bio-impedance sensors for respiration and heart rate logging. A more basic clip-on version called the UP Move measures steps, calories burned and includes a sleep tracker for $99. The UP by Jawbone app is available for free from the App Store. Another popular line of activity trackers come from Fitbit. Unfortunately, Fitbit has refused to natively incorporate HealthKit into its app. Instead, a third-party developer has created an unofficial app called Sync Solver for Fitbit that will read the data from your online Fitbit account and send it to HealthKit. This app is not authorized by Fitbit and there's no telling if Fitbit will continue to allow access through it's online portal for this app. For now though, Fitbit users can sync their calories, weight, activity and more to HealthKit using this app. Available for $0.99 from the iOS App Store. The Bowflex line of exercise equipment made by Nautilus has added HealthKit support for its app that will allow users to see workout stats in Apple's Health app. Information such as workout duration, heart rate, calories burned and distance traveled are recorded. Right now the HealthKit integration is available for Bowflex Max Trainer models and Nautilus claims the 616 Cardio product lines will be updated soon. Bowflex Max Trainer starts at $999 and features 14-minute workout intervals with high calorie-burning exercises. Unlike many other fitness apps that track nutrition and activity, BACtrack integrates with a mobile breathalyzer that can measure your blood-alcohol content and send the stats to your iPhone. 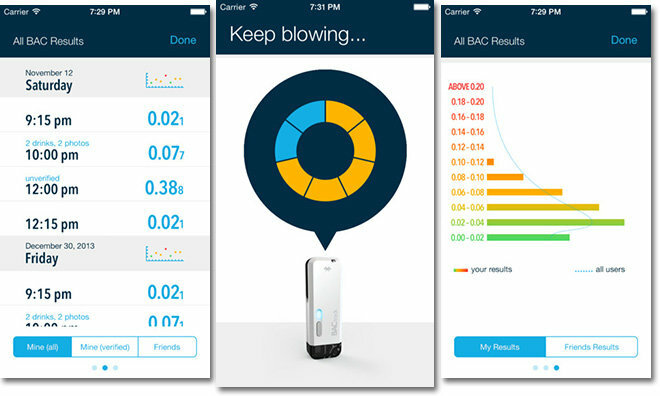 While the app is free, the mobile breathalyzer is currently on sale for $99, while a more portable keychain-sized version called the Vio can be had for $49.99 from Amazon.com. With HealthKit integration, users can track their daily, weekly and monthly alcohol intake at glance in the Health app. BACtrack is the first app to integrate blood alcohol content measurements with HealthKit to help users see correlations between alcohol intake and overall health and exercise. BACtrack is a free 25.6MB download from the App Store. With numerous accessories and one of the most mature platforms for fitness, the free Nike+ Running app can send your distance traveled, calories burned, run duration and more to HealthKit. Some Nike accessories like the GPS Sportswatch is capable of sending activity stats through the Nike+ app as well, though users can tap into their iPhone's GPS radio via the free app. Interestingly, one of Nike's premier wellness products, the Fuelband, does not integrate with Apple HealthKit. 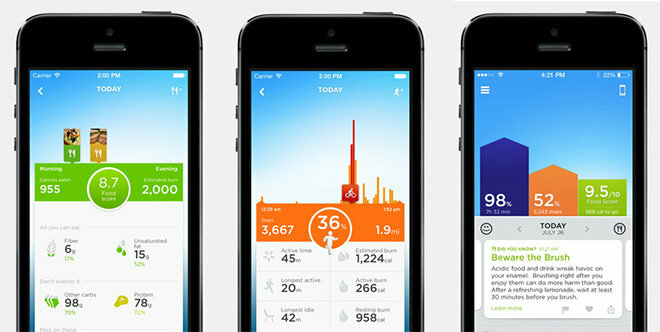 Nike Fuelband tracks users' activity through proprietary "Fuel Points" rather than actual steps, thus distance and cannot be synced to Apple Health. 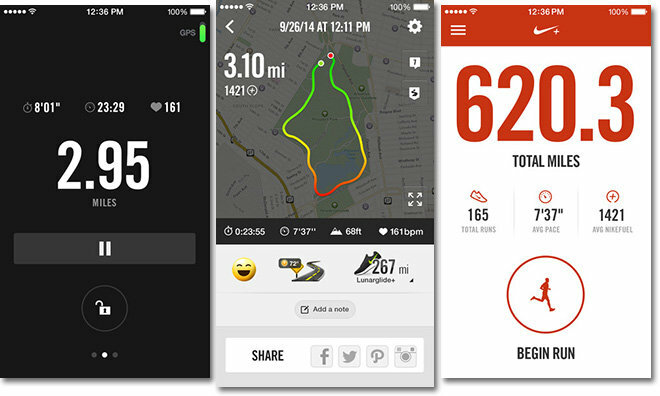 Nike+ Running is a free 46.2MB download from the iOS App Store.